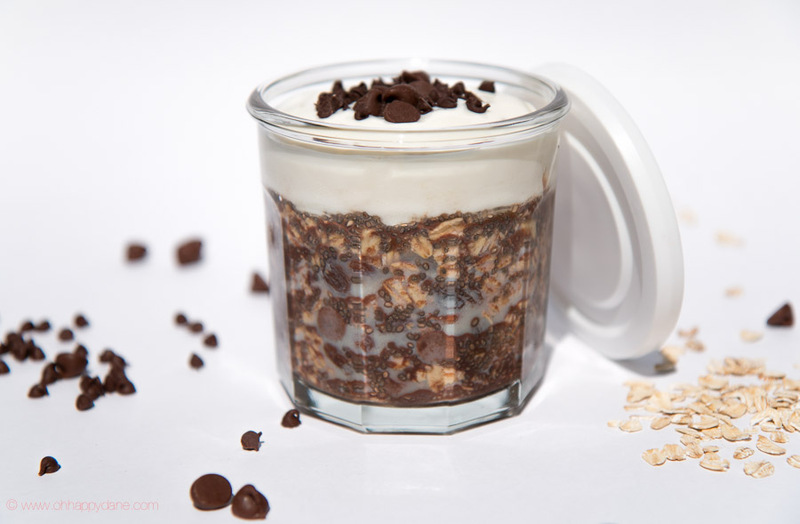 Here’s a favorite – which not only my kids love; the Overnight Oats – Double Chocolate Chia Combo! This actually got my kids started eating oats again! And I love when they start the morning with a solid breakfast that will keep them full and ready for a long day at school! 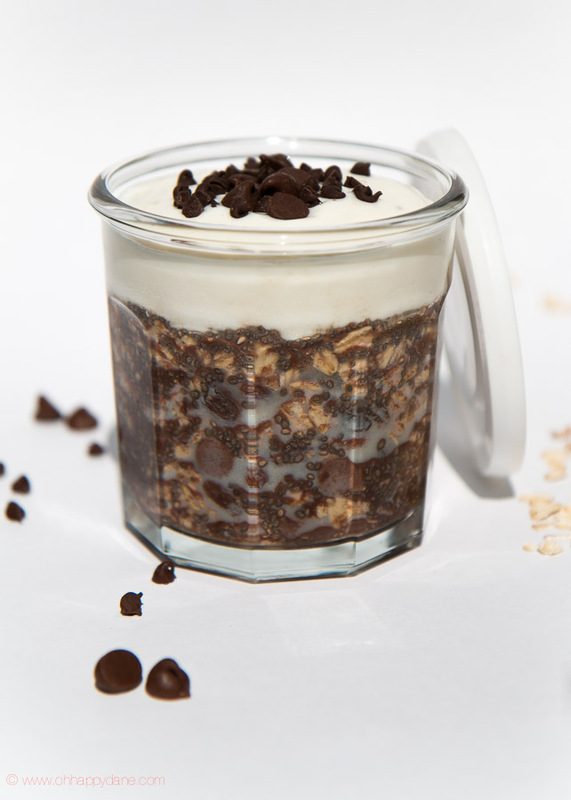 Basic recipe is like my first posted Overnight Oats with Chia Seeds – but you can vary like you’re in the mood for. In the morning, you can add fresh fruit, nuts, yogurt and other favorite toppings to your oatmeal. In this case I topped with my own homemade Vanilla Yogurt and some chocolate chips.